Your audience may not know who you are quite yet—even though they are in desperate need of you. Perhaps they are familiar with your business, but they need to learn more about your budding brand identity. Or maybe you’re doing quite well, but you want to make sure you keep doing well. And a robust yet adaptable inbound marketing strategy will help you do just that. 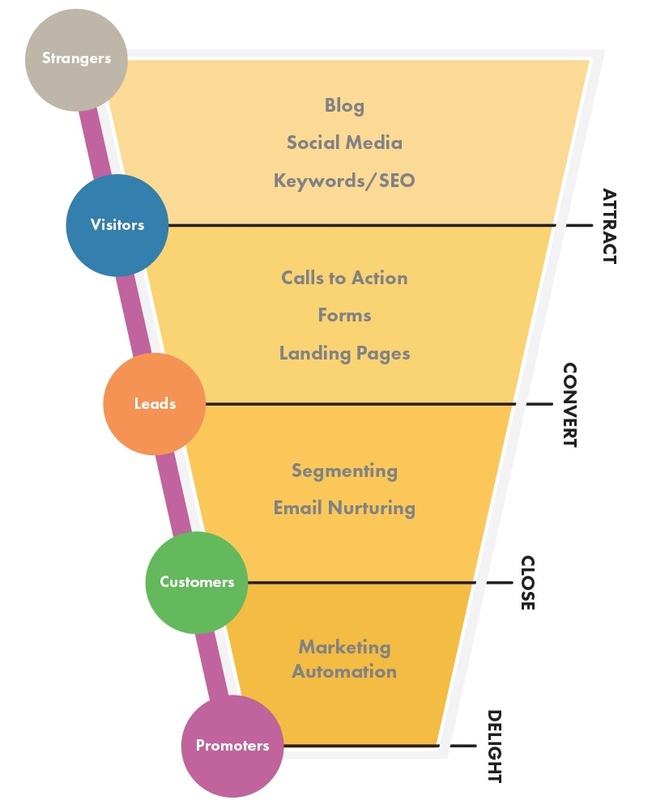 Inbound marketing is about getting your message in front of your audience consistently, conversationally, memorably, noninvasively, and in many different forms. This will involve using a strategic variance of angles, approaches, wording, timing, and the appropriate channels that intersect with each of your buyer personas’ daily online interactions. This means you’ll best benefit from a HubSpot certified, Google AdWords partner, people-focused inbound marketing agency that can truly get to know your brand, your goals, and your audience. Then it’s about determining the optimal tools to churn out a sustainable system of lead generation and conversion. We’ll spend quality time with you in order to know your brand inside and out—your hopes, your dreams, your "SWOT" analysis (Strengths, Weaknesses, Opportunities, Threats). Then we craft your proactive marketing strategy based on who you are, where you’re at, where you want to be, and where your audience is. After determining which marketing methods will work best for your strategy, we’ll then make sure your website is equipped with a utility belt that rivals Batman’s. Your website, of course, is the hub of your inbound marketing efforts, and it must be set up to integrate seamlessly with any other tools you may be using. You need quality content that tells your brand story, and you need it lodged in the gray matter of your prospects. Our team of copywriters will interview you, asking the right questions to connect your story to its audience, provide pizzazz and polish, and adapt it for the appropriate channels for a multi-touch, impeccably-timed content drip. As your brand story’s influence soar across the interwebs, you’ll want to make sure you’re staying in touch with your audience and with the ever-morphing possibilities in online interaction. Rest assured that our marketing efforts will be tracked, tested, and modified accordingly to ensure you’re increasing your sales. All in all, your business becomes our business. Your success is our passion. We’re in this together.